Too broke to keep the lights on? You're not alone. In fact, you're among the hundreds of thousands of Californians who struggle to pay utilities every billing cycle. And you might be entitled to a bit of help. 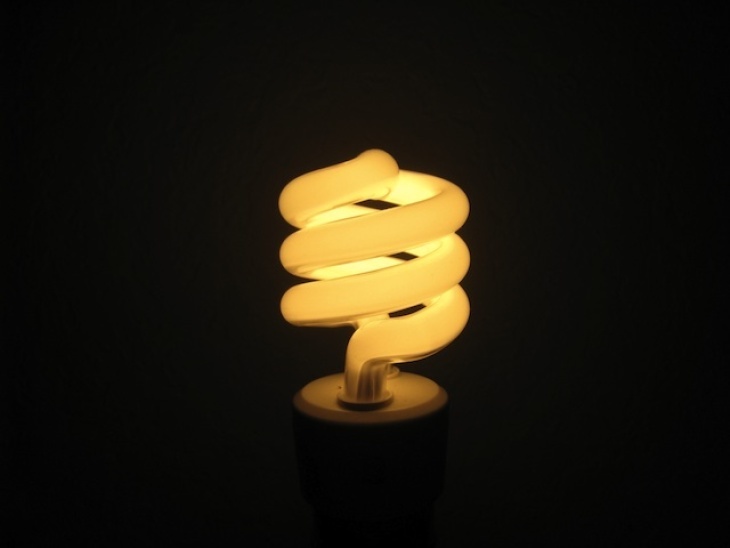 On Thursday, acting on a bill passed last year by the state Legislature (SB 598), the California Public Utilities Commission (PUC) enacted emergency measures to cap future shutoffs at their 2017 levels. The rules take effect immediately while commission looks at its long-term options. But don't celebrate yet — not every delinquent utility customer is protected. The new cutoff protections extend to people age 65 or older, to low-income customers who have lifeline accounts and to people who are in hospice care or who need gas or power due to a medical condition. That's because living without gas or electricity could cause people to suffer health problems and lose the ability to remain employed, the PUC said in its decision. This isn't the commission's first effort to reduce shutoffs, but past measures haven't been very effective. As the bill cited, a rate of disconnections has grown from 547,000 in 2010 to 816,000 in 2015. Southern California Gas Co. had a 2017 shutoff rate that accounted for 2 percent of its customers. 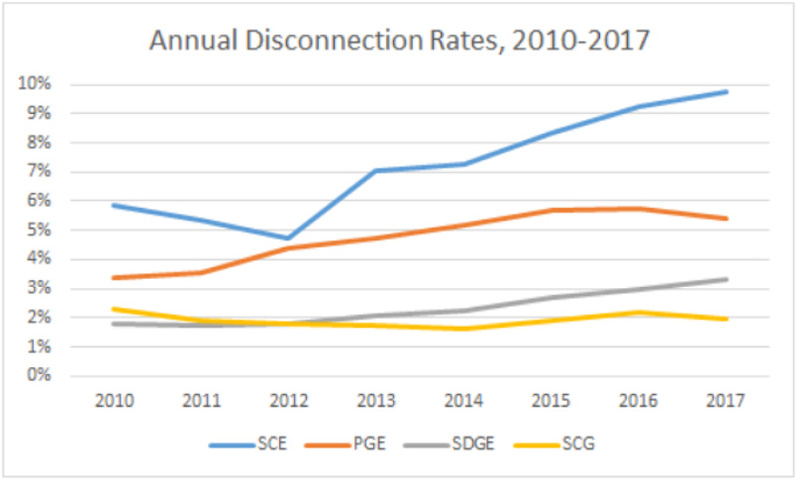 Shutoff rates were highest in the giant service area of Southern California Edison, where nearly one-tenth of customers lost their electricity in 2017. SoCal Edison told KPCC/LAist that the nearly 10 percent rate is attributable to typical users — not to low-income customers whose rates are subsidized through the company's CARE program. Since 2012, spokeswoman Susan Cox said, shutoff rates have crept back up to 2010 levels; but disconnections for customers on the CARE program have remained flat. Each of the big investor-owned utilities had different policies for disconnecting power, with some rules subject to PUC oversight and some that were voluntary. If you're wondering how to see if you're protected or want to get set up on a payment plan, check with your provider. Southern California Edison wanted to add up the cost of keeping delinquent customers online and potentially pass it on to its other customers — the ones who do pay their bills. But the PUC said the amount SCE would lose wasn't enough to pass on to less financially vulnerable customers. Bear in mind, the new rules affect only large investor-owned utilities like Southern California Edison and Southern California Gas Company. They don't change the policies of smaller investor-owned utilities or city-run utilities like those in Los Angeles, Burbank, Glendale or Pasadena. The L.A. Department of Water and Power has its own low-income assistance program and payment plans to help people at risk of being disconnected. You can study up on your consumer rights here, and to learn more about programs to help low-income utility customers, visit the U.S. Department of Health and Human Services' website. Hey, thanks. You read the entire story. And we love you for that. Here at LAist, our goal is to cover the stories that matter to you, not advertisers. We don't have paywalls, but we do have payments (aka bills). So if you love independent, local journalism, join us. Let's make the world a better place, together. Donate now.